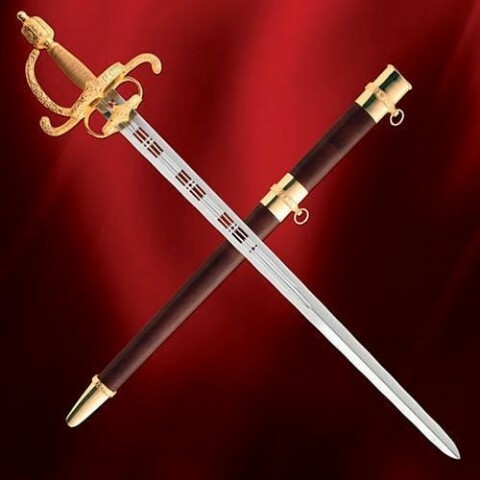 Truly one of the most magnificent swords put on offer. Similar in design to several swords made by expert sword makers for Emperor Charles V and his son Philip ll of Spain. 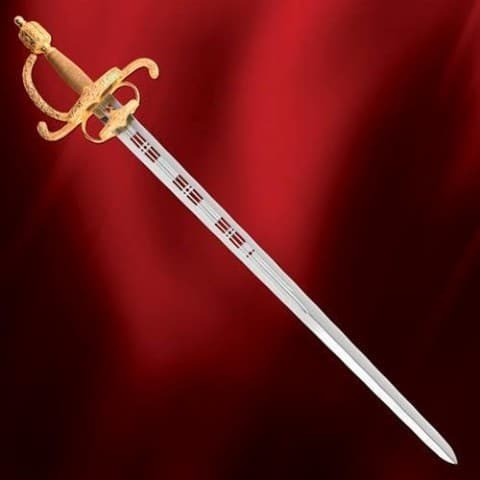 Highly detailed 81cm x 4cm blade has exquisite piercings on its upper section with fine engraving on the hilt. 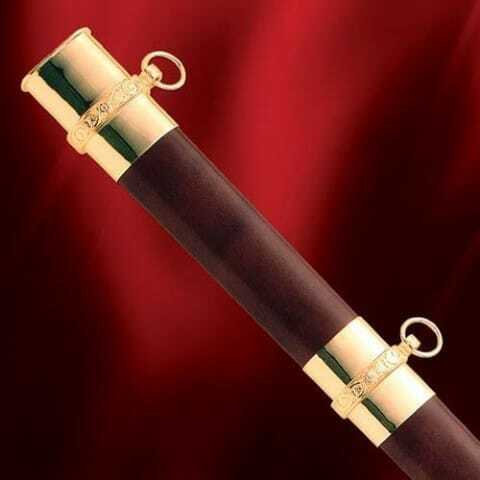 Matching ringed scabbard has equally fine engraving and is covered in rich supple brown leather. Guard, fittings and scabbard are all expertly plated in 18K gold that presents a stunning finish. 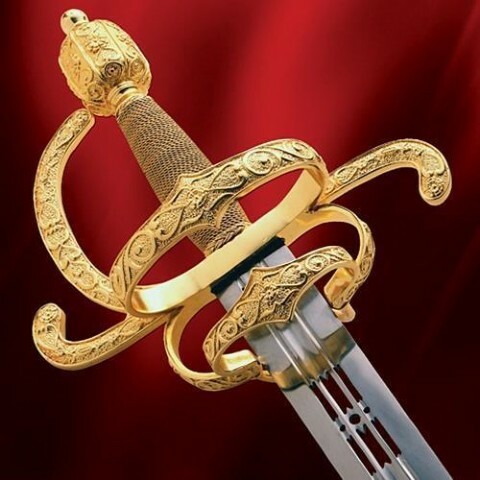 A sword to adorn the finest outfit.